It's getting harder to "move on up" in life because of government rules for Americans who want careers doing what they love or side jobs doing what they're good at. Yoga instructors, athletic trainers, dog walkers, and massage therapists join barbers, hair braiders, and manicurists as vocations that face increasing new requirements for training, education, and certifications. These requirements can be costly, time-consuming, unrelated to the kind of work they do, and unrelated to any health or safety concern. We call this occupational licensing. It’s on the rise across the country and evidence shows that it's holding people back. Licensing limits entry into a profession and reduced the potential earnings that a person could make if they entered that profession. At the same time, for those who are fortunate to obtain a license, having it increases their earnings because they can charge more for being licensed. The people affected by occupational licensing tend to be low-income Americans who just want opportunity and a shot at their American Dream. Think of a high school student for whom a four-year college degree is not the best path after graduation, a single mother who wants a steady profession with a good paycheck for her kids, a formerly incarcerated person who has a skill and wants to start his own business, or a new immigrant starting fresh in the workforce without much experience. "Policy makers should take note of the potential distributional consequences of this growing phenomenon as they reconsider occupational licensing requirements for low- and moderate-income occupations. In addition to raising prices for consumers, occupational licensing may be creating barriers to opportunity that prevent the least fortunate Americans from achieving the American dream of prosperity." We want to expand opportunity to everyone and a way to do that is to make professions more accessible. Reforming occupational licenses is a great step towards that. States –particularly Republican-led states -are leading these reforms and the Federal Trade Commission is also making it a priority. Indiana, for example, passed reforms for hair braiders and a bill in Louisiana would allow kids to sell lemonade without a license. 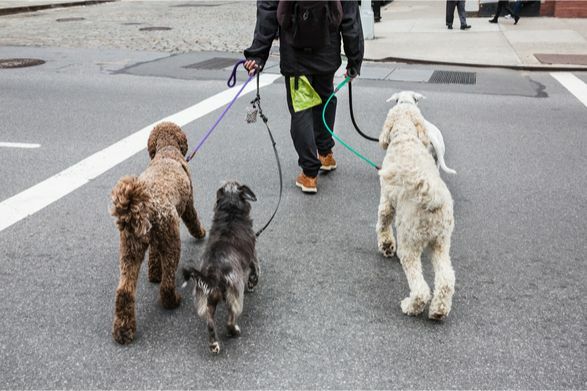 Unfortunately, other states are going in the opposite direction and cracking down further on business activities that don't have a license like dog-walking in New York City. Liberals and conservatives recognize that occupational licenses are holding down poor people. 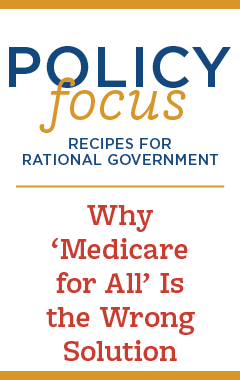 If we want to tackle poverty and income inequality, this is a good place to start.